By the end of this year or early next year I am planning on doing a big trip from England to Russia and then into SE Asia. I will be quitting my job and I plan on taking a slow approach and seeing a lot of what each country has to offer and exploring what is out there. I don't really have a time limit but I am thinking roughly 1 year for the trip. I am a Canadian living in Ottawa, but due to changes in my person circumstances I will be selling my house to fund the trip and with the plan to relocate in SE Asia once I am done the trip. Because of this, I am planning to fly to the UK and purchase a Honda CB500X for the trip (half RTW?) and get it kitted out before leaving. I will not be bringing the bike back to Canada, so it will stay in SE Asia or sold once the trip is fiinished. 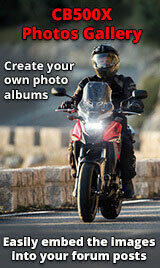 One of my many questions: Is the UK the best place to buy a used CB500x? Some others have mentioned Germany also, but in the UK I think it will be easier and cheaper to find more used motorcycles and getting the paper work done ( I will be on an international license) and navigating the buying process should be easier because of the language. Any ideas on this? I am guessing that Brexit will also have an effect that is unknown at the moment. Thanks all, I will make another post about the bike specific questions, this forum has been great on researching the 500X and what options I will need. I was also considering the Versys 300x and Himalayan but I feel the added power of the Honda and size will be a little better rounded for me. 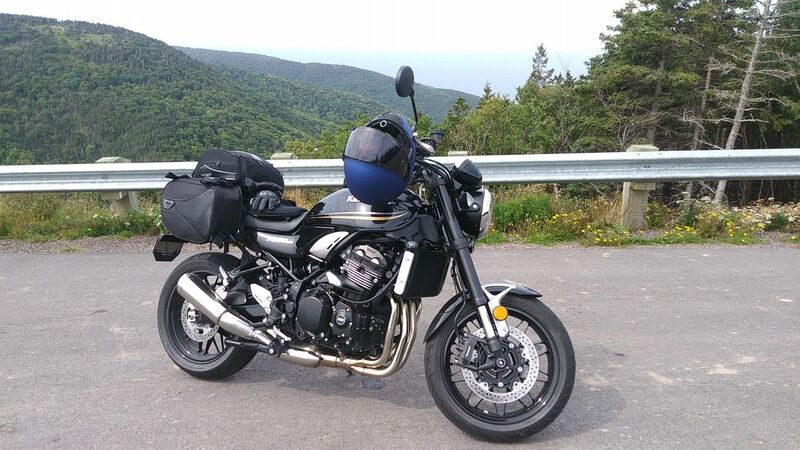 I am currently riding a Kawaski Z900 RS and will be selling it to help buy the next bike, shipping a bike from Canada seem too expensive and not worth it at the moment. First of all, what a trip!! I'm jealous, that sounds like an incredible adventure (both the trip, and the plan to settle in SEA)! CBX a great choice of bike in my opinion! Buying a used bike in the UK is a simple straightforward matter, not sure though about registering and insuring the bike without an address? I presume you will stay there for a while and have a temporary UK address at least? Speaking the local language will help you a lot with the paperwork (as opposed to buying in Germany unless you speak German). I don't think Brexit will have much effect on the process for you. However paperwork once you leave Europe can get tricky, look at forums like Horizons Unlimited for details on what papers you will need. Good luck for your preparations! Sounds like you have a quite an adventure ahead of you. This place is a great place to connect with other 500X riders, as you'll find many are from Europe. In response to your thoughts about utilizing another bike, other than the CB, that's a good question. I would say ride them. After doing a 5 month trip on a single cylinder bike, I realized, for me, having a twin makes for a much more comfortable ride. The Versys is a great little bike, but it makes power much differently than the Honda. On the other hand, it's lighter than the Honda by a good amount, and it can be lightened even further. There's a thread on the big ADV forum where another Canadian has prepped a bike for his wife and cut a lot of weight from the machine. How much on and off road do you plan on doing? You sticking to major routes or going to go exploring? Welcome . You are a man after my own heart. I’m envious of your trip as back in 1990 (+- a year or so) my trip to Australia was curtailed due to the Salman Rushdie being responsible for closing the Iran border! Any way I digress. May I offer a facility you may need: I have access to an extensive workshop, if you would like to borrow some tools to get your bike fixed up for your trip the offer is there. I’m in the South east of the UK. The CB500X would make a great bike to trip on....wish they were about in my day! Thank you all for the great responses, it has been really kind. bullroarer: Thank you for the amazing offer, I might have to take you up on it. I normally wrench on my own bikes, but I was going to get a dealer or local shop to do the installs. I am surprised when I spent some time on the Autotrader site to see some dealers offering 2019's at around 5500, while some 2-4 year old ones are in the 3000-4500 range. I am guessing that I will be on road 80% of the time, with this changing when I get into Eastern Russia and Kazakhstan. The 500x seems the right balance of size, power, reliability and comfort for what I am looking to do. The versys 300 -650 are on the radar but both are a little tall for me and I have experience riding thumper Honda's in Vietnam and Laos. I'll post soon the accessories and modifications I am thinking to add to make the 500x a tourer, and see what the members here think. One other important element of the bike selection, is that the 500 is a global model - manufactured in Thailand and sold Worldwide - therefore parts and support is available everywhere at affordable cost and low leadtimes. A Versys 650 would be a different situation. For your needs I don't think you'd need spoked wheels and whatnot, but again it is available for the 500 if needed. To me the Versys300 needs to be revved a bit too high to get some movement - but surely it is lighter than the 500. I'm also from Budapest, and have a spare sofa and some place in the garage for one more motorcycle (now I have two 500x-es, an 500F and a PCX) stationed there, but wort case we ask my wife to park the Prius on the street for a few nights. I'll have an Australian friend over here for five weeks from July 12 and he is taking one of my X-es with him for a trip around Europe. I can't speak on this definitively, but you may have a very hard time registering a motorcycle in the UK without an address. You might want to put some decent research into this bit. Bikes and cars also have to pay road tax in the UK (you can't legally be on the road riding a bike in the UK without it) I believe paying road tax requires the bike to be registered to an address. The tax itself isn't that expensive, just a consideration. If you can get insurance, after Brexit happens, the insurer will have to issue you a green card for use abroad. Don't discount buying a bike in Germany - there's plenty of Germans who can speak better English than people are able to in the UK I know nothing of their rules though! That all said, if you do come to the UK, make sure you visit the Scottish highlands. It's one of the most beautiful places in the world. Also, did you see Ian and Chrissy's trip from Alaska to Argentina on two CB500Xs? I asked them how the CB500X performed on this massive trip. The only issues they had were with aftermarket bits they fitted to the bikes and an oil leak from the transmission shaft. Pretty good testament to how robust the CB500X is! Worth reading UKJeeper's adventures in America as well. Shows what the bike can do! Stosskraft, forgot to mention that yes, definitely plan to include Budapest on your route, and looks like you'll have options to choose from for your accomodation in the city 'cause like Oyabun we've also got a spare bedroom plus garage space for your bike! And beer of course - maybe a mini CBX "rally" with the three of us when you're here? Avoid the Scottish Highlands mate, full of man eating midges, constantly rains and the folk wont have a clue what you are saying, England is a better option.